Advertisers now have better access to Amazon customers via Sponsored Product Targeting, which is available to both Sellers and Vendors. Similar to Product Display Ads – available only to Vendors – you can target customers by product, using specific ASINs or categories that can be filtered by price, brand, or rating. 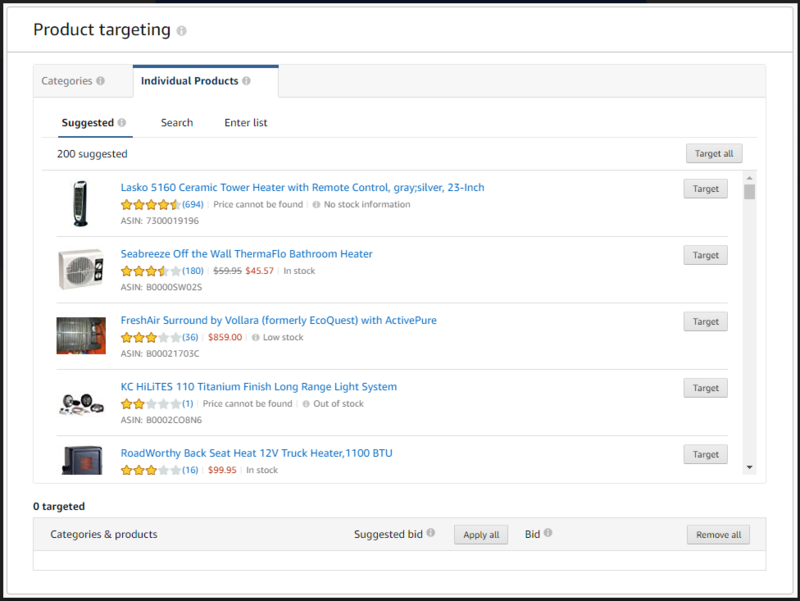 Upgraded targeting offers more options to reach shoppers as they browse and filter through similar products. 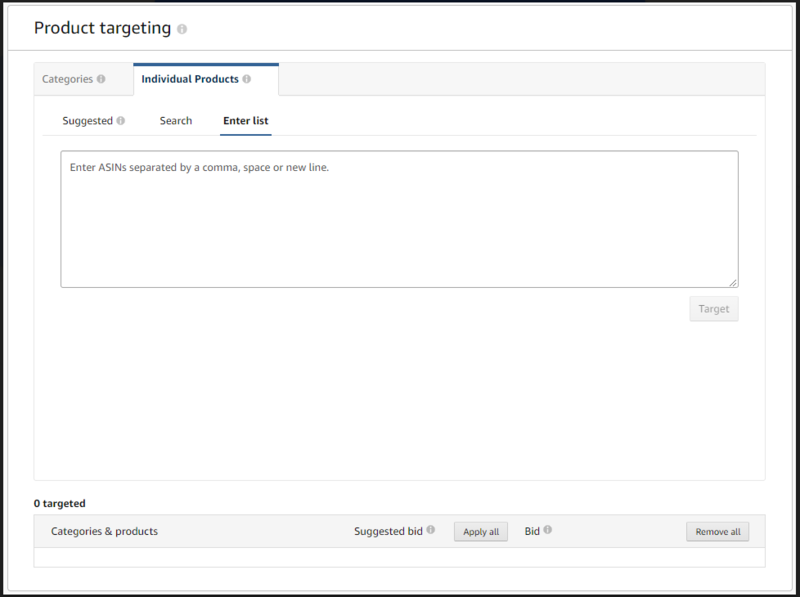 Improved auto-targeting includes the ability to adjust targeting options, as well as negative product advertising that can prevent your ads from showing on specific search results and detail pages. Product Targeting comes with new reports that can help advertisers create new campaigns based on successful ASINs and categories. This is an improvement over Product Display Ads, which provide no reporting on ASIN or category performance. 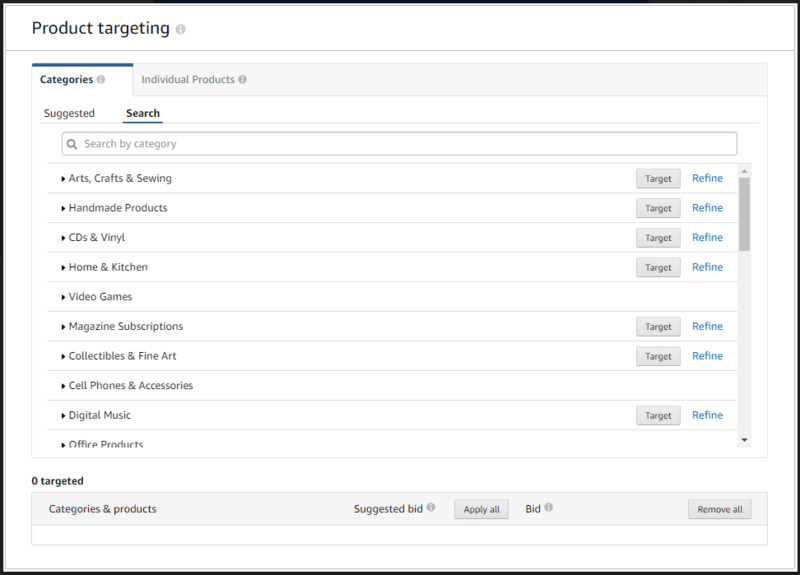 Unlike keyword targeting – which allows you to pick search terms to show products during customer searches – with product targeting, advertisers choose products, categories, brands, or other specific product features that are similar to products in their ads. This new strategy can help customers find your product based on individual products, or product features like price point or star reviews. Targeting products based on individual features allows for a more accurate approach to reaching your target audience. To create Sponsored Product campaigns using targeting, go to Advertising > Campaign Manager in your advertising dashboard. Click create campaign, and choose a Sponsored Product campaign. Next, give your campaign a name, start date, end date & budget. Set your targeting option to Manual Targeting. This will open up to more targeting options after you determine your products. After you name your ad group and pick products to advertise, you can determine your targeting options. Each ad group can be either keyword or product targeting, but not both. 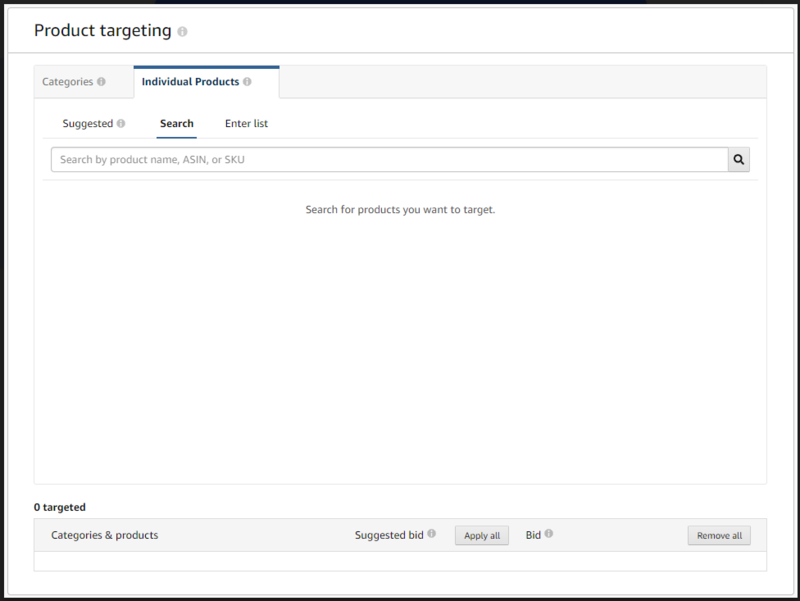 Pick Product Targeting to use the new targeting options. Next up is determining your product targeting. First, we’ll look at targeting Sponsored Product ads by Category. 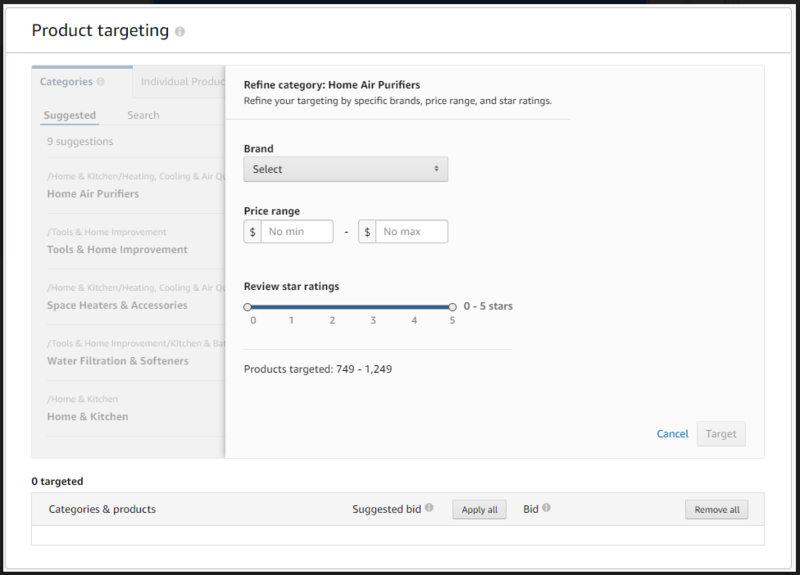 Amazon provides options for suggested categories to target based on the products in your ad group. You can choose to target any one or all of these suggested categories. There is the capability to refine categories by Brand, price range, and review star rating. 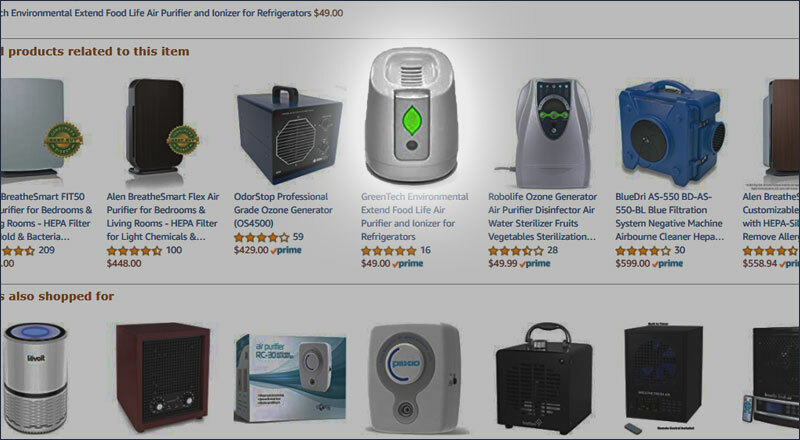 You can refine the category to brands that Amazon suggests, or search for specific brands. You can also pick categories to target by searching for them within the builder. Amazon provides the entire category tree to see all available categories and find ideas. You can also type in a category if you already have one in mind. 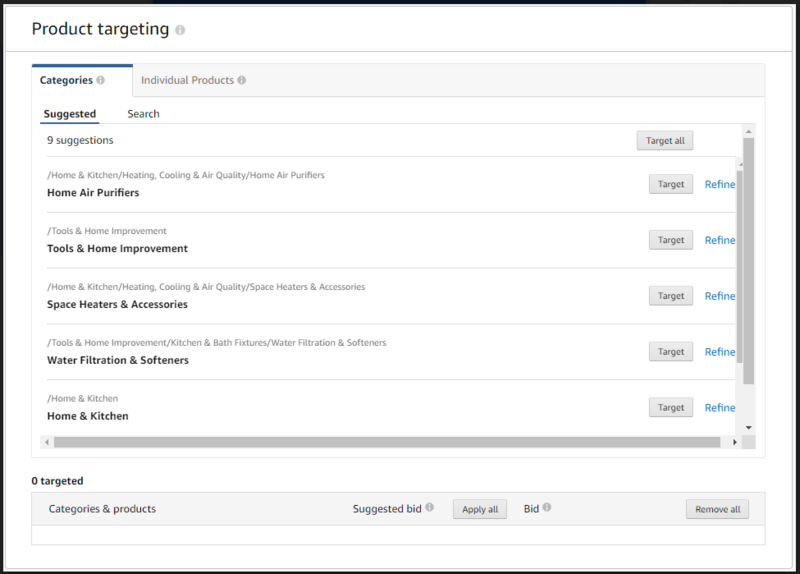 The new targeting capabilities also allow for Sponsored Product targeting by individual products. Once again, Amazon will provide a suggested list of products related to the items in your ad group. You can target each individually, or choose to target all of your suggestions. There is also the capability to search for specific product names, ASINs, or SKUs to target. The final targeting option is to enter a list of ASINs separated by a comma, space, or new line. Capitalization and punctuation does matter here, so be sure to capitalize the “B” at the start of your ASINs. 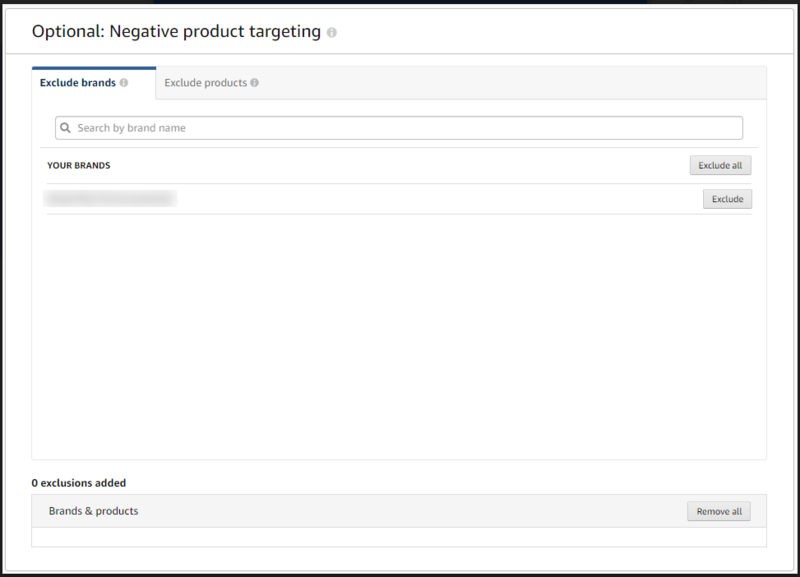 The new targeting options also include the opportunity to use negative targeting and exclusions to improve performance. You can exclude by brand name or by specific product/ASIN. Amazon will display any brands that you own for easy exclusion. After walking through these targeting options, your campaign is ready for launch. 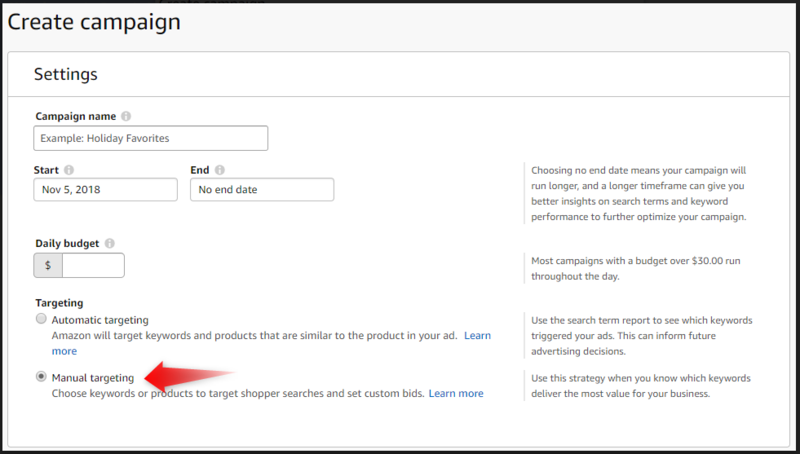 Be sure to monitor performance of your newly targeted Sponsored Product Ads by running regular targeting reports.